Varicose Veins Could Prove Fatal to Seniors! Varicose veins are a huge nuisance for any adult. Not only are the affected veins unsightly, they could also lead to symptoms like itching, pain and fatigue that can hinder your quality of life. On top of that, varicose veins could lead to conditions that are more difficult to cure. This is especially true for the elderly. Seniors are advised to have their varicose veins checked and treated at the first sight of these bulky, blue menaces. Moreover, seniors should visit a leg doctor more frequently, as varicose veins can develop under the skin, without any visible signs. In this article, we are going to explain why varicose veins are particularly dangerous for seniors and give more detail on how to prevent a fatal outcome. A varicose vein develops when a one-way blood valve fails. These valves are meant to keep blood flowing towards the heart. But, when this system malfunctions the blood comes rushing back and pools inside the vein. The result is the unsightly, swollen blood vessel. This could happen in any part of the body, but most often occurs in the legs because it is where gravity affects blood flow the most.These blue lines are unmistakably diagnosed with the naked eye. Furthermore, seniors with varicose veins may feel their legs get heavier coupled by a constant burning sensation. This condition could also lead to throbbing, cramps, pain and cause the legs to swell. There are many ways to ease the symptoms, but there’s only one way to get rid of the issue permanently, which is through proper vein treatments. One of the most common conditions that develop as a result of a vascular vein disease is vein inflammation or phlebitis. This condition usually affects the larger veins and could even lead to a potentially fatal condition like deep vein thrombosis. DVT occurs when the clot formed in the leg travels to the vital areas of the body through the circulatory system. According to the CDC, of 900,000 Americans potentially affected by deep vein thrombosis annually, anywhere between 60,000 to 100,000 patients fall victims to the condition. Even worse, between 10 to 30% of them die within a month after they have been diagnosed with the condition. Even if the condition does not prove fatal, it could lead to other complications and recur within the next 10 years, CDC warns. This condition is even more likely to develop and be fatal to seniors, as seniors’ bodies are particularly vulnerable to cardiovascular diseases. How Can Seniors Prevent this Condition? One of the leading reasons varicose veins and DVT are so common in seniors is decreased physical activity. Therefore, one of the best ways to prevent varicose veins from ever developing and leading to a potentially fatal condition is to get seniors to exercise regularly. One of the main reasons seniors don’t exercise is a lack of muscle strength. Now, we know it might be hard to convince anyone to develop a habit of exercising, especially at that age. But, we’re not talking weightlifting or CrossFit. A simple walk around the block every day will do the trick and get the blood flowing. Fortunately, the more seniors exercise the more they will feel their muscle strength return. Suddenly, a regular and more demanding exercise routine might not seem as far-fetched as before. Motivating seniors to develop this healthy habit will not only help prevent DVT and the development of varicose veins but give their immune system and overall health a significant boost. Other prevention methods like proper hydration, regular check-ups with a vein doctor and wearing supportive stockings can help keep this malicious condition at bay. There are many risk factors that could make a person susceptible to this condition, genetics being the main one, but through proper prevention and timely diagnostics, fatal complications are easily avoided. 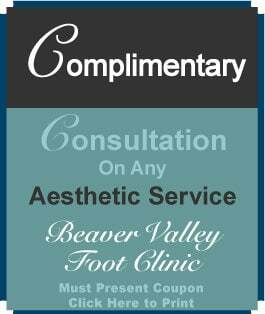 FREE Vein Screenings are available at ALL locations – vein clinic in Cranberry, Butler vein clinic and our Bridgewater vein clinic to name a few. 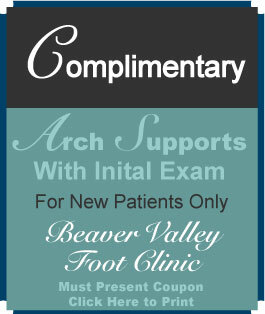 For directions to our vein offices, visit our page.